“Ryse: Son of Rome”presents a cinematic re-creation of the Roman Empire, its people, conflicts and landscapes in breathtaking detail that represents the graphical benchmark for the next console generation.It brings the brutality and intensity of Roman warfare to life in visceral detail, thrusting you into the chaos of close-quarters combat, where the emotion on the enemy’s face can be seen and felt.Showcasing the possibilities of Xbox One, “Ryse: Son of Rome”extends the gameplay experience with unique features such as Xbox SmartGlass, GameDVR and the new high-fidelity Kinect, letting you manage your character’s progress with your compatible mobileor tabletdevice, record and share your best gameplay moments with friends,andcommand legions with the sound of your voice. Next-generation cinematic immersion With the power of Xbox One, “Ryse: Son of Rome”presents conflict in the Roman Empire like you’ve never seen it before, from the northern reaches of Britannia to the Coliseum and the very heart of Rome. New advancements in performance capture allow you to interact with believably realistic characters featuringincredibly detailed facial animation and naturalistic emotion. 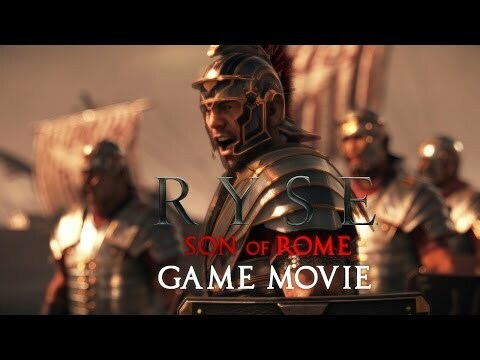 “Ryse: Son of Rome”tells the story of theyoung Roman soldier Marius Titus who witnesses the murder of his family at the hands of barbarian bandits. Seeking revenge, he travels with the Roman army to Britannia where he proves himself a soldier of phenomenal skill and quickly rises through the ranks. As Marius leads thearmy against the barbarian horde,his quest unravels and hediscovers that he must return to Rome to find his vengeance. The challenge editor was revealed last year as a SmartGlass companion app feature that would allow players to craft and share their own challenges in the game's co-up Gladiator mode. But the features wasn't ready for launch in November 2013, and has failed to materialize some three months after launch. In a statement on Friday, a Microsoft spokesperson told Polygon why: "After careful consideration, we have decided to cease development on Ryse: Son of Rome's challenge editor and focus on improving and expanding fans' experience with the game through both free content updates and purchased add-on packs," they said. "We look forward to sharing more details soon." Gladiator mode is Ryse's co-operative multiplayer mode, which sees players teaming up in a Coliseum to take on hordes of increasingly challenging enemies. It features dynamic tile sets inspired by the movable floor pieces in the ancient Coliseum which were used to recreate historic battles. These movable tiles are used to make hidden scenery rise from the floor, allowing for battles in settings such as strongholds, ruins and naval arenas to take place. Ancient Rome was a brutal place. You can read about it in the history books, or you can relive it one bloody body at a time in the new Xbox One exclusive video game, Ryse: Son of Rome. Microsoft has positioned this game as the marquee title for its new video game console, and it’s right to do so. Developer Crytek’s execution on Ryse seemed a little iffy earlier this year, as gamers reacted strongly to relatively weak demos. But Crytek has revised the game in a significant way in the last five months. The final product is a joy to play — as long as you don’t mind all of the blood, dismemberment, and death screams. Visually, it is stunning enough to be worthy of a next-generation label. Its movie-like cinematics look like they were actually made by a film director, not a video game designer. They hold your attention and don’t go on forever. And the action is savage. Ryse is a new intellectual property that Crytek worked on for seven years. During the past two years, the German developer rebooted the development and turned the title into an Xbox One launch title, one of 22 games that will be available when the system goes on sale early Friday morning. 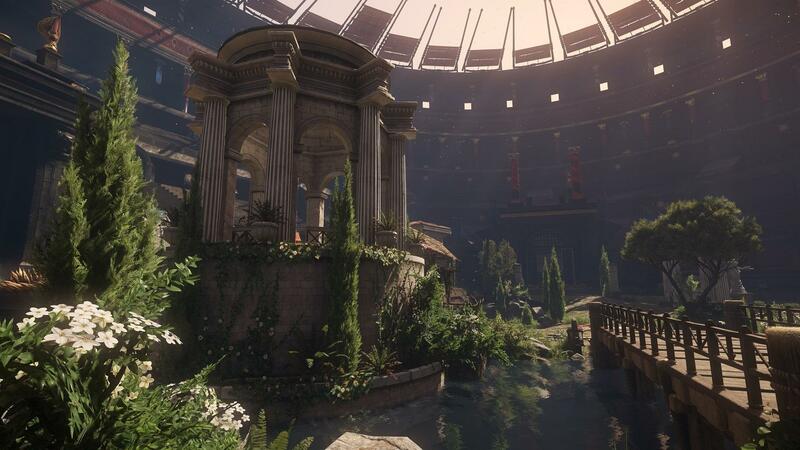 Ryse will stand out as a game crafted to be a next-generation experience. It’s by no means flawless, but it provides eight hours of fun. Ryse could be a boring hack-and-slash game, as many swordfighting titles are. But it mixes up the button mashing, requiring the gamer to use more skill by executing finishing moves, particularly with more difficult enemies later in the game. And it also adds variety by making the player act as a general, commanding troops to move into action. Ryse has a lot going for it. Great cinematics. Gripping action. A good story. Interesting characters. An epic tale. And plot twists that will surprise you. It’s a story about a Roman general, Marius Titus, who has a duty to protect Rome from the barbarian hordes but who also harbors his own quest for revenge. As he seeks vengeance against those who killed his own, Titus must weigh his duty to the empire and his moral obligation to fight its corruption.